Part Reverse Engineered and produced by MLP. 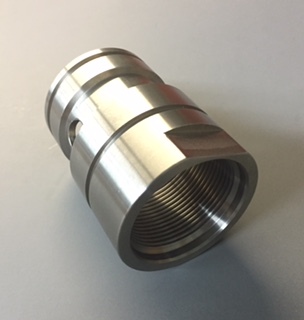 You supply MLP with your high-cost OEM machine part, and we will reverse engineer your item at no charge to you. As part of our service, we will come to your location (within the greater Philadelphia region) and create a working sketch of your part, which usually takes less than one hour. Not local to the greater Philadelphia area? No problem. Send us your part and we will draw it up and return your sample the next day. We will then send you a written quotation for your machine part within 24 hours. There is no risk to you, only the opportunity to save money and stretch your budget. MLP has done literally thousands of reverse engineering projects over the years. We have been servicing the manufacturing industry since 1976. Three generations of family experience back up our commitment to the highest quality OEM replacement parts available.